Valerie was raised on Hilton Head Island, SC. 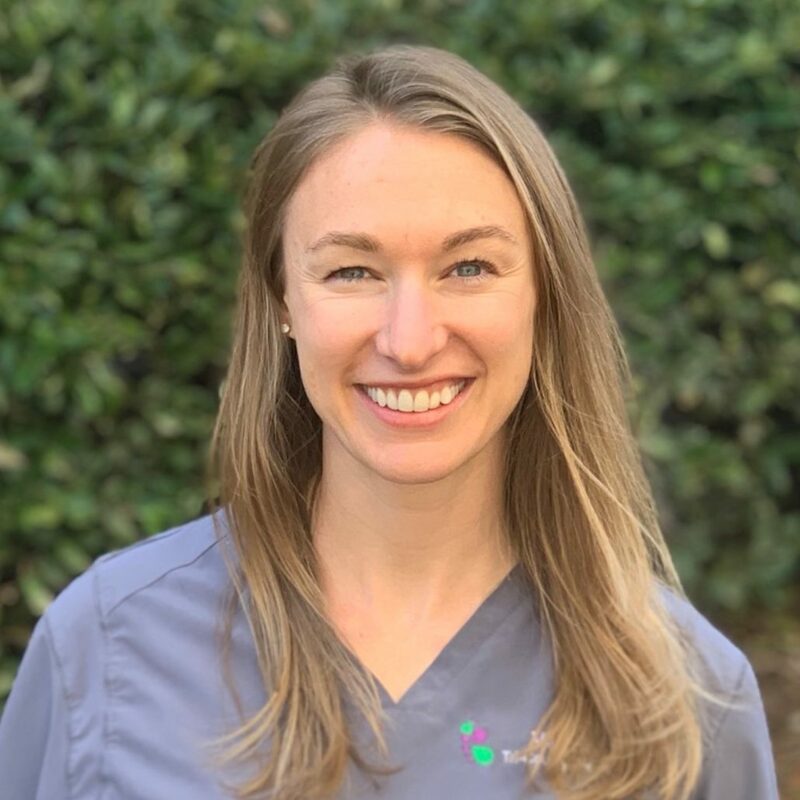 She received a Bachelor of Arts degree from Wake Forest University and then a Master of Science degree in Occupational Therapy from Washington University in St. Louis. She has over 12 years of experience working with children of all ages in multiple settings including schools, daycares, and homes. Valerie is Tri-County’s Lead Occupational Therapist for the Upstate area. Valerie is passionate about helping young children of all abilities develop the skills necessary to be successful in the preschool and elementary school settings. She has been a National Workshop Presenter for Learning Without Tears (formally known as Handwriting Without Tears) for over 7 years and continues to travel to provide training for teachers and therapists on a part-time basis. Valerie has been married to her husband Krzysztof for over 13 years. They live in Greer, SC with their two kids Brandon and Brooke and enjoy biking, camping, traveling, church activities, and exploring the Greenville area. After living in Michigan for many years, Valerie is extremely happy to be back in South Carolina!